It was a great week here at City State Entertainment, a really great week. Why? Because not only did out Big Bot Testing resume, but it resumed with a vengeance. How much of a vengeance? Are we talking the kind seen in the Sergio Leone classic Once Upon a Time in the West? Yeah, that kind of vengeance. Let’s just go to the Top Ten-ish List, and you’ll see what I mean. Bot testing – Marc, Rob, and Colin have been hard at work refactoring our bot code, as we haven’t been paying any attention to it for many, many months. 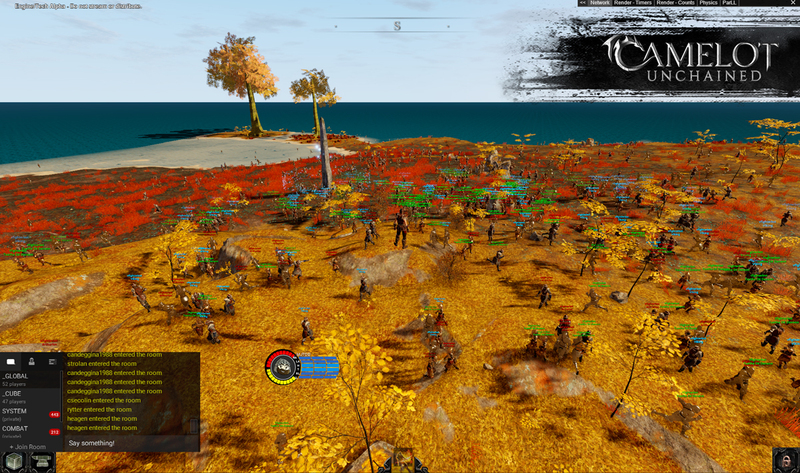 We started internal testing with around 100 bots running around an island. They weren’t wearing any armor, and their movement was quite jittery. Over the past few weeks, we’ve gotten our numbers back to where they should be, made bot movement look more natural, and given them some clothes to wear. This week, we’ve had upwards of 1400 unique bots running around in the world. And these bots aren’t fake NPCs, or any such nonsense! Each bot is a “headless client” (running off remote AWS instances), that puts more stress on our system than a player (well, more than most players, there is always one or more special flowers) does, and they now run around with class-recommended armor. It’s more than a little impressive (can you think of a game that can handle that many players in front of you? ), and a testament to all the hard work up to this point. For those Backers who want to see some interesting numbers, head over to the Forums to see a thread where I talk about performance and quote the numbers from my perfHud, when I was “diving into the Bot Mosh Pit” over the last few days. A special shout out to the team for making this possible. The best part here is that we’ve barely begun to optimize. Chat server fixed – Our chat code has needed some major loving since forever, and JB has been hard at work improving it. We ran into some issues right before last week’s weekend playtest, and we had to disable it. We’ve had one “Break the Chat Build” test, which was a success in pinpointing some additional stuff to work on. 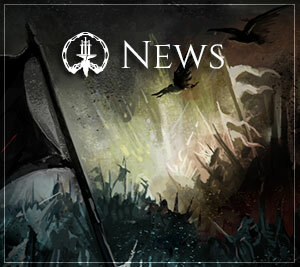 We believe we fixed the issues, and welcome feedback during our coming playtests. 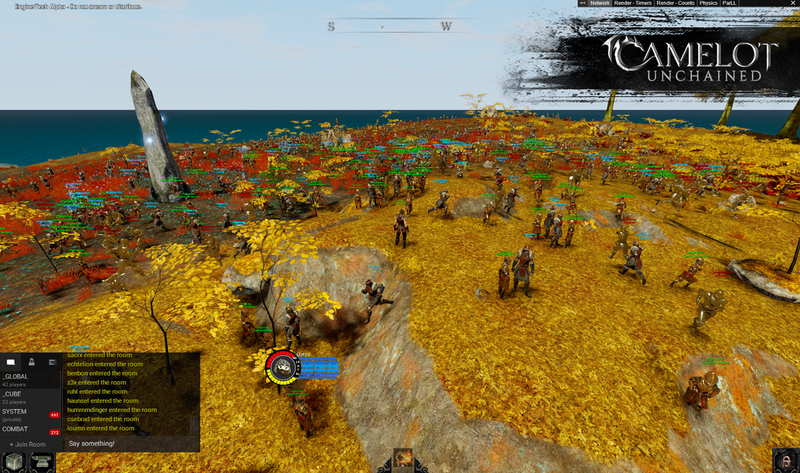 WIP – Starting work on guilds – having previously worked on groups, we’re starting to work on guilds for Beta. We’re hitting base features first, such as creating, joining, and inviting to guilds, as well as guild chat. WIP – Building grid updates – We have a solid plan for the path ahead, and now we’re beginning the refactor to allow us to have round towers in our structures. HDR tuning – George has been exposing more knobs for tweaking, which allows the art team more control in making the world beautiful. Lighting in the world is still a WIP, and we have more improvements coming. Physics and networking – We separated the physics network state from our other network states. This allows us to send even more even more network messages without affecting our performance. 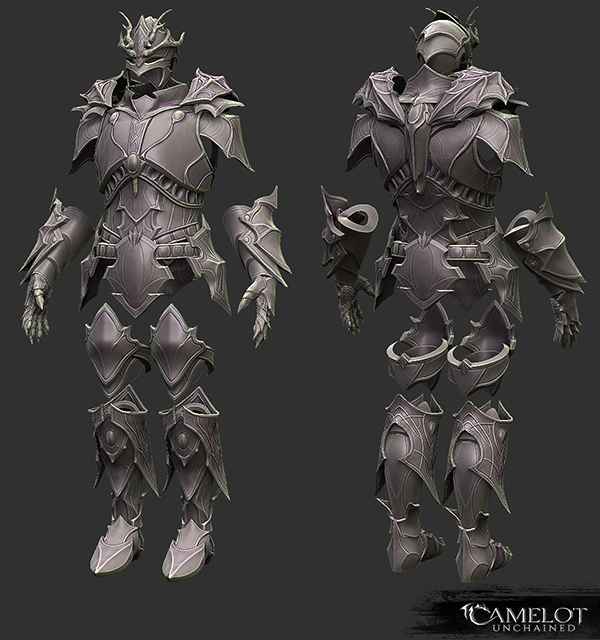 Art – Armor: Finished modeling of TDD Fall Court armor, and moving into materials for it. WIP – Biomes: Improvements all around to the autumn biome – Tyler and Dionne are currently adding new assets and tuning existing assets. We’re also doing an update to the biome settings in general, to add more variation to the terrain. If Item #1 hasn’t grabbed your attention yet, here’s a screenshot from it. Can you guess how many Bots (headless clients that consume more server bandwidth and CPU than a normal player) I was standing in the midst of? 300? 500? 1000? Surely not more than that, right? Well, actually, just about 2,000. 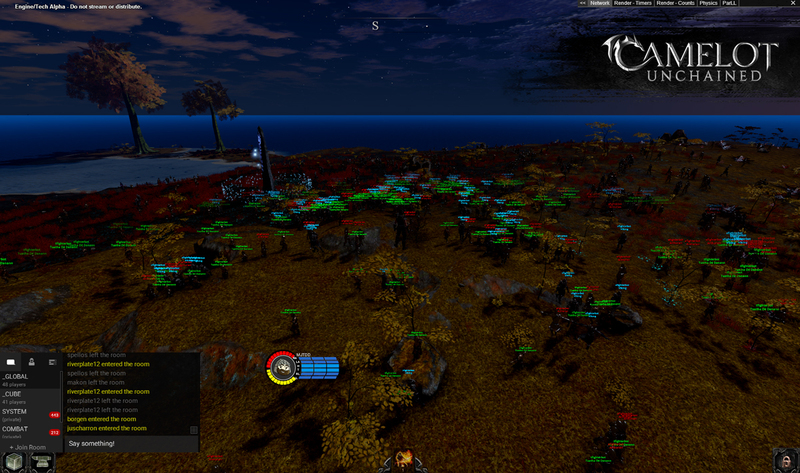 That’s right, I was flying above the a crowd of about 2K Bots and not only didn’t the game crash, but it performed well. And if you were thinking that the vast majority of Bots were far behind me, nope, there are just about as far apart as is the group you see in that photo. Still unsure? Here’s a daytime shot. But wait, I bet some of you are thinking that even so, “I bet you couldn’t walk in the middle of them!”, right? Well, here’s another shot from the same test. So, not bad, right? Two Thousand Backers and Bots in a tiny area and I could run around. Now, we are not all the way there yet—we still have to add abilities firing off—but that’s coming soon. And while that will impact the FPS, we have a lot of room for optimizations on both the client and server side. And, even more importantly, it means that battles in the low hundreds (say 300), would be easily handled by the network layer, and we can always optimize the client by culling effects from distant fights. Therefore, if you thought we couldn’t pull off our claim of large-scale battles, we are rapidly approaching the point where you will see just how our engine can handle the kind of game that so many of us have been waiting decades for. And BTW, the card I was running it on was a GTX970, a two-year-old card. A powerful one, of course, but still a two-year-old card while playing an Alpha game. It’s not time to get on the hype train yet, but as I said a few updates ago, the light from the tunnel gets ever brighter and closer. And if you have any doubt about how special what we are building here is, ask yourself how many other MMORPGs can handle even 300 people in a small area. This weekend, we will give all our Alpha, Beta 1, and IT testers a chance to see this in action. For today’s art, here’s some concept work for the new moons that we are working on. More is coming. Next up, how about some pieces of the Fall Court armor of the Tuatha Dé Danann? 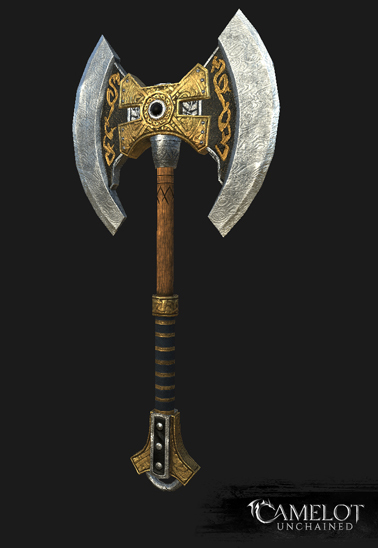 I’ll leave the Land of The Artists with, fittingly, an epic ax. I’m off to Abu Dhabi on Wednesday. Really looking forward to the trip. If you happen to be there the week I’m there, let me know via support (send it to support@citystateentertainment.com with the title MJ Goes to Abu Dhabi) and we can get together. I’m booked solid Saturday/Sunday, but I’m available other days (Friday and Tuesday are the best). CSE’s office is closed Thursday/Friday of next week for Thanksgiving. For those of you who celebrate it, enjoy! That’s it for today’s update. BTW, if you want more info on our Big Bot Tests, I’ve posted a bunch of stuff on the Forums. I hope you enjoy what you see there, and what you saw in this update, especially the Big Bot Beltway Battles. I cannot emphasize how important that getting to this step on the long road to Beta 1 was, and will continue to be, as we move into and through Beta 1. We promised you large-scale battles, and that’s what we will deliver, far sooner than you might have expected! If you have a card that is less powerful than a Nvidia 680, your experience will suffer. OTOH, if you have a 970 or above, performance will be just great. We haven’t begun to really optimize the frame-rate for our game, let alone large-scale battles. Whatever you see today is just a jumping off point, not the end point. We are experiencing some weirdness with the current build so if you see a much lower than expected FPS, especially if you video card is a 9x or 10x, try rebooting the client. The test will run all weekend unless something goes horribly wrong. Please post all bugs on our Forums HERE – https://forums.camelotunchained.com/topic/15383-big-bot-testing-nov-18th-21st/. As always, we thank you for your support and patience!